Sometimes it’s the simple things in life that make a big difference. Things like a sturdy, reliable, effective cleanser and toner that quietly do the job without being all singing and dancing. 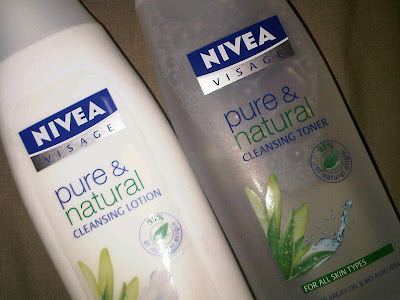 Nivea’s Pure & Natural line of products have been available for some time now and it’s always good to see a big brand embracing the trend for more natural products that don’t have room for the nasties we all read so much about. The cleanser and toner within the range aren’t particularly glamorous or fancy, but after three weeks of trying them I can honestly say they’re worth their position on my beauty shelf. 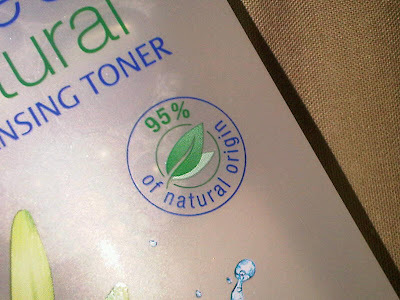 All the products within the line are made up of a minimum 95% natural origin ingredients. The cleanser and toner are also free from parabens, silicones, colourants and mineral oils, so you know that what’s coming in close contact with your skin won’t do it any harm. The products are almost scent free and plain in colour – something I believe is important in making you feel at ease with claims of being ‘natural’. I have quite sensitive skin that can be aggravated or irritated by certain ingredients, but with these two my skin was left feeling clean and fresh without any stinging or tightness. The cleanser works well to lift dirt and grime and moves around the face well without leaving residue; the toner basically feels like flower water to quickly refresh and remove any last traces of product. Although these products aren’t the most glam or have the most extravagant claims, they do the job well. I keep reaching for them instead of more expensive and fancy brands, which is a sure sign that I like a product a lot! They’re a pleasure to use and at around £3.50 a bargain too – it’s not often you get such a high quality and ‘natural’ product that costs the same as the ‘non-natural’ version. I’ve also got the lip balm and moisturiser, both of which are also great quality and non-irritating, as well as being trademark Nivea in performance. I would thoroughly recommend picking some of these up the next time you’re shopping… Why not even try swapping some of your more ‘chemical’ type products for these and see if you notice a difference?